I have started my research at NC State with the growth and characterization of GaN. 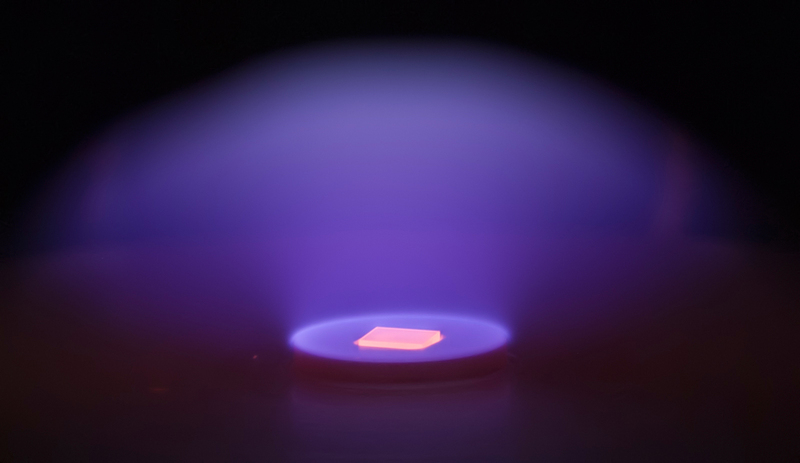 Growth was performed utilizing molecular beam epitaxy (MBE). Characterization was done by photoluminescence (PEL) and capacitance/voltage measurements. Growth and characterization of intrinsic and doped single crystal diamond. nanocrystalline diamond and carbon nanotube films. substrate, here, a single crystal diamond plate. Characterization includes field- and thermionic emission to explore the potential in thermionic energy conversion. the solid state, i.e. without any moving parts, and with efficiencies exceeding 50% possible. in a reduction of the work function of emitter and collector.